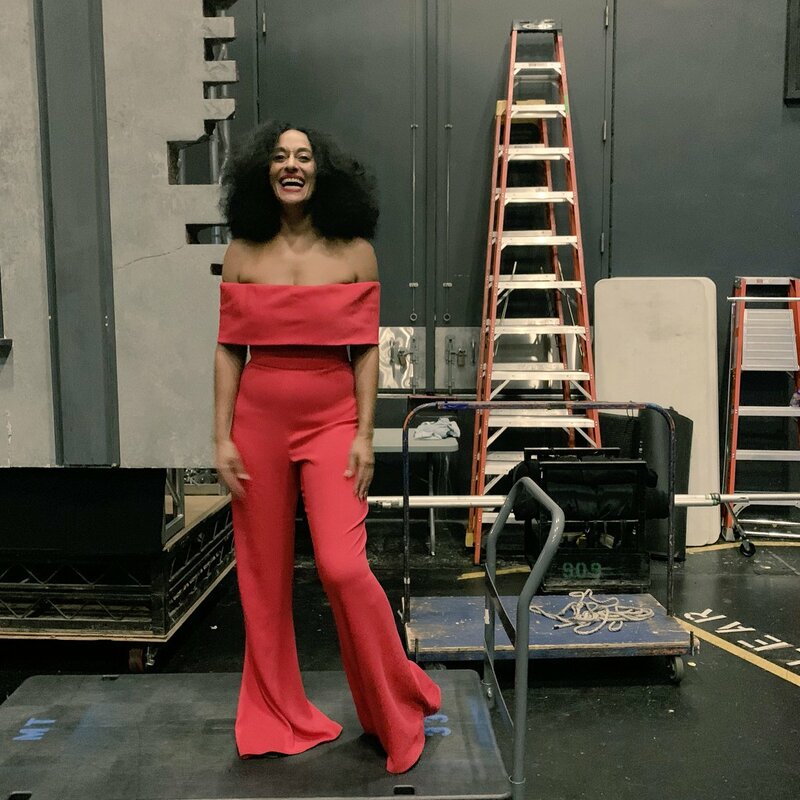 Tracee Ellis Ross made a statement Tuesday night, choosing only to wear outfits from black designers for the 2018 American Music Awards. 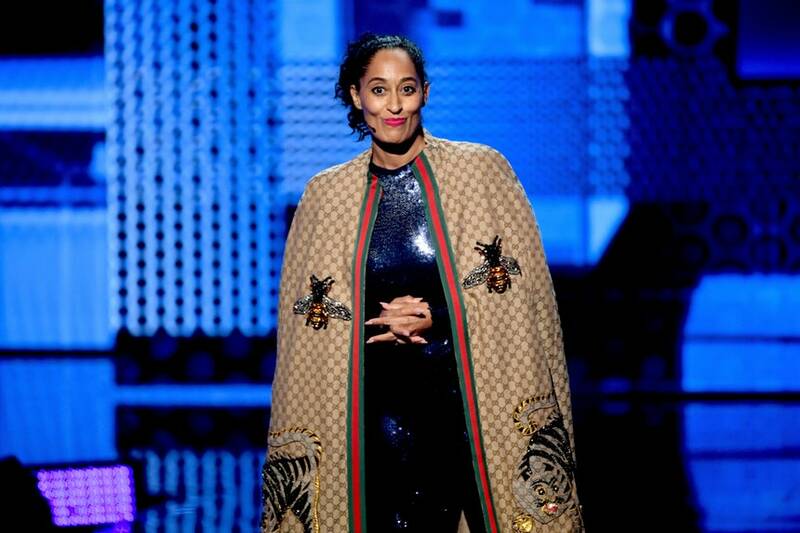 The “black-ish” star and AMA host wore 10 outfits the entire night. From a sleek black dress to a power suit, Ross was ready for any performer or occasion. (Page Six) First, she walked the red carpet in a pink suit by Pyer Moss accessorized with a Jacob & Co. choker, heels by Christian Louboutin and earrings by Mattia Cielo and Djula Jewelry. Are you keeping up? For the next look, the fashion icon was a breathtaking in a printed bell-sleeve mermaid dress from Lavie by CK and Stuart Weitzman shoes. and finally, Ross wrapped up the show in a red Cushnie off-the-shoulder jumpsuit.